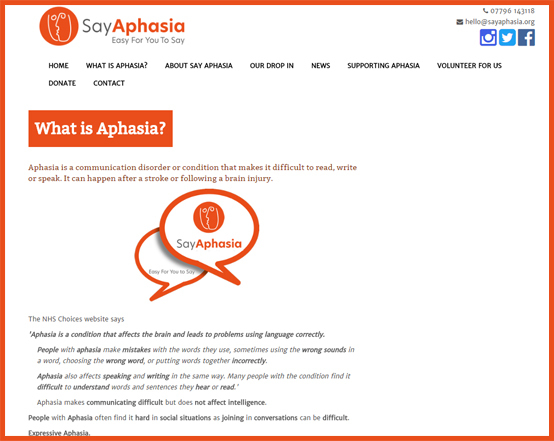 Say Aphasia required a website with a responsive web design that could easily be updated by members of their team. 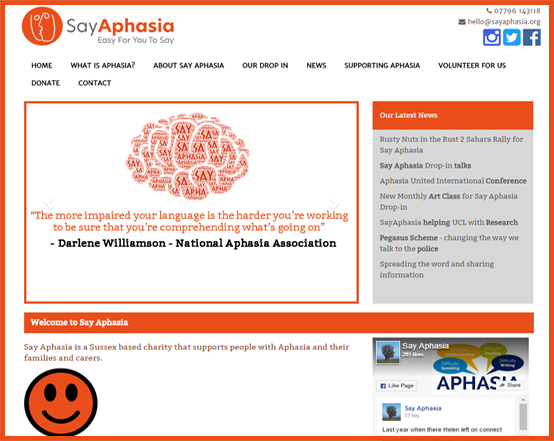 Say Aphasia are a charity based in Brighton, East Sussex. The charity supports people who have aphasia and their families and carers. The group is friendly and supportive with an objective of getting people better. Having been a long to a few of their sessions we can certainly say they are a great group of people. When Colin and the team from Say Aphasia approached us, they didn't have a digital presence or brand. We helped assist with both. They needed a website that would showcase what they do and have the ability to raise funds to help support the charity. We held many discussions with the team, to identify what they wanted to get out of the website. It needed to be bright and easy to read, with as many images as possible to help users understand the content. They also needed the possibility to be able to update the content of the site themselves when possible. After having discussions with the team, we started to create a design and the content that would go on the website. We built the website on our TImberwolf CMS, which would allow multiple logins for the team at Say Aphasia to have access and edit the website. It allows for a fully responsive design, allowing the website to work across all devices and browsers. We were fully co-operative with the Say Aphasia team at all stages of the development process. We needed to understand accessibility requirements of the website, as many users struggle to put phrases together. The website allows for text to be made large automatically and different colours when neccessary. We also went through the website with the team to Bold words to help make it easier for the users to read.